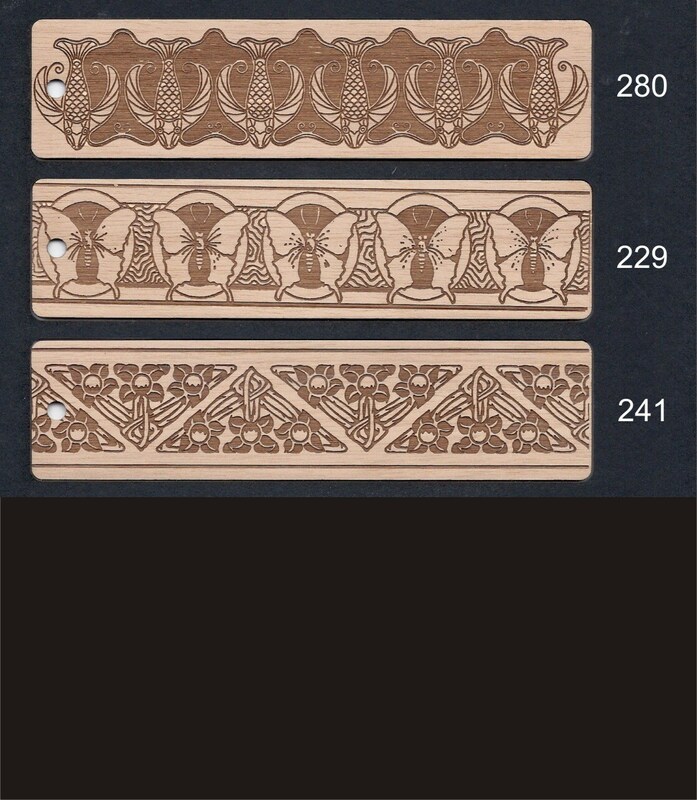 All of our bookmarks come with free shipping and we will engrave a name on the back at no additional charge. 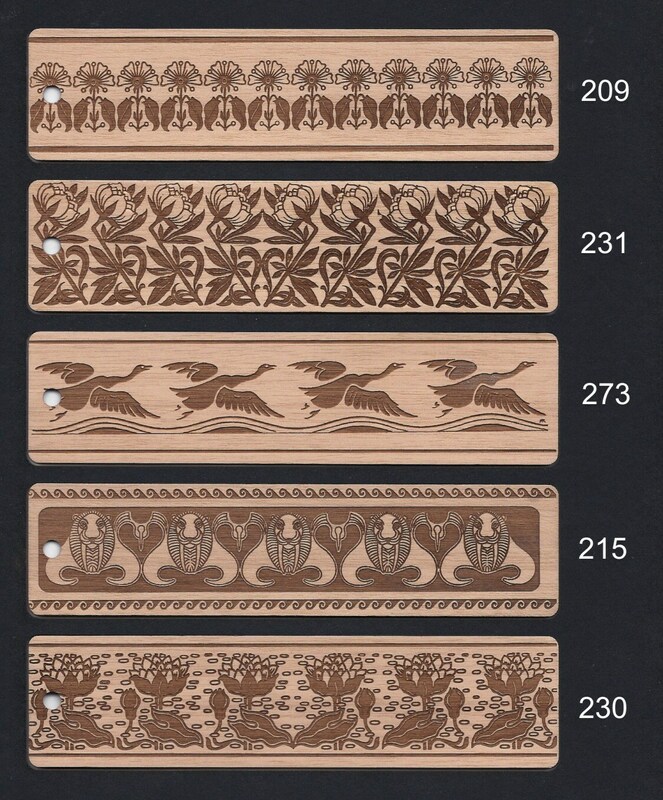 When checking out, indicate which design you want with the item number. I have several more designs available with various themes so contact me if you don’t see what you’re looking for. 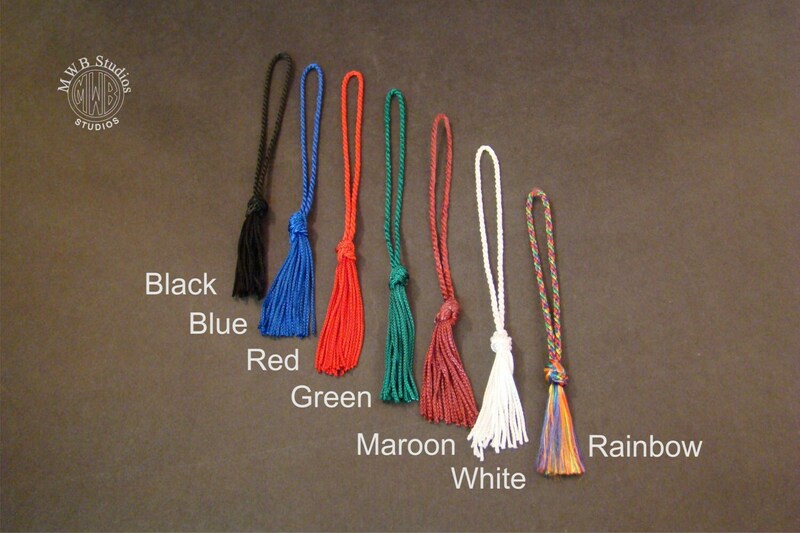 Also be sure to choose a tassel color from the drop down color options. If you have a design you would like to have made, just email me the art in a jpeg at least 300 dpi and we will be happy to work with you. Each one can be personalized at no additional charge. 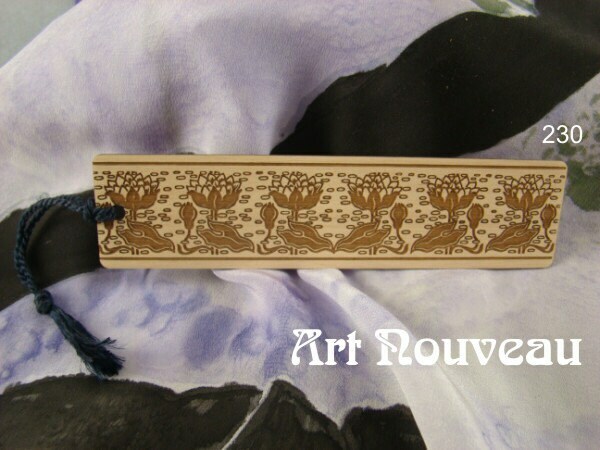 All of my bookmarks are made of solid cherry, made in the U.S. Each bookmark is 6” x 1-1/2” x 1/16” and all include a tassel. These are great for giveaways at parties, weddings, grand openings and other similar events, and they can be personalized with a person or company name . For quantity discounts over 5, please contact us and we will gladly quote you. Shipping is via USPS first class mail which is a 3 to 5 day delivery. We do ship overseas, please see our shipping policy for details.